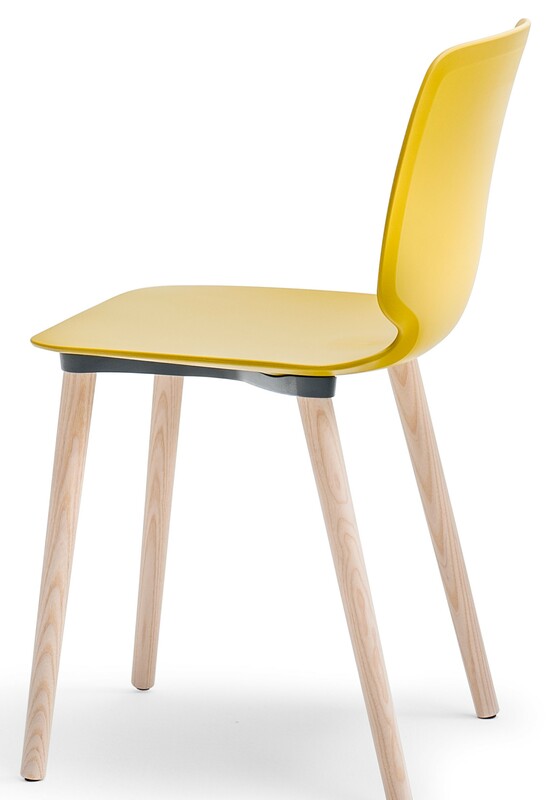 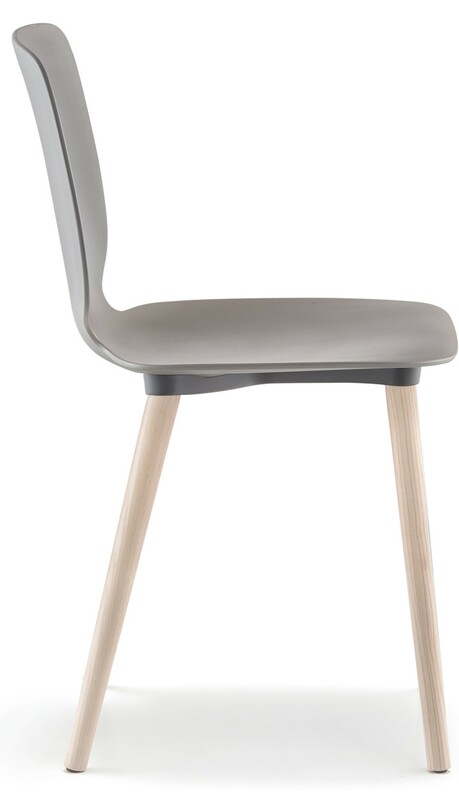 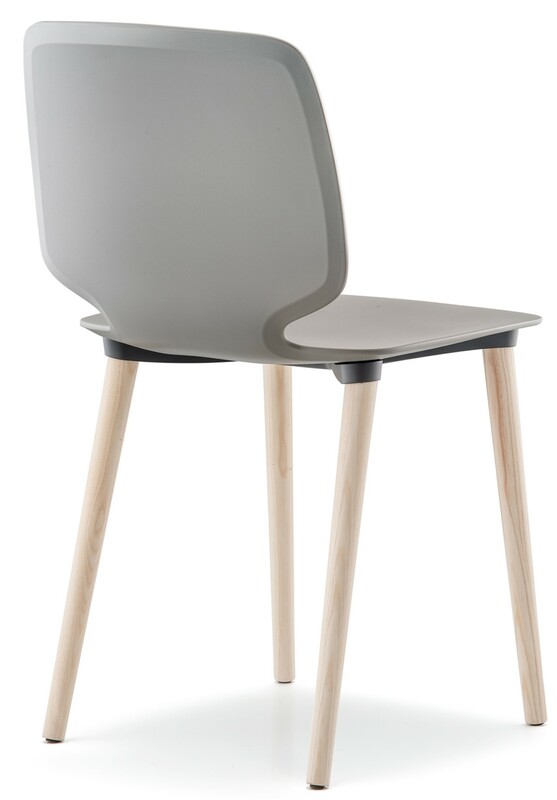 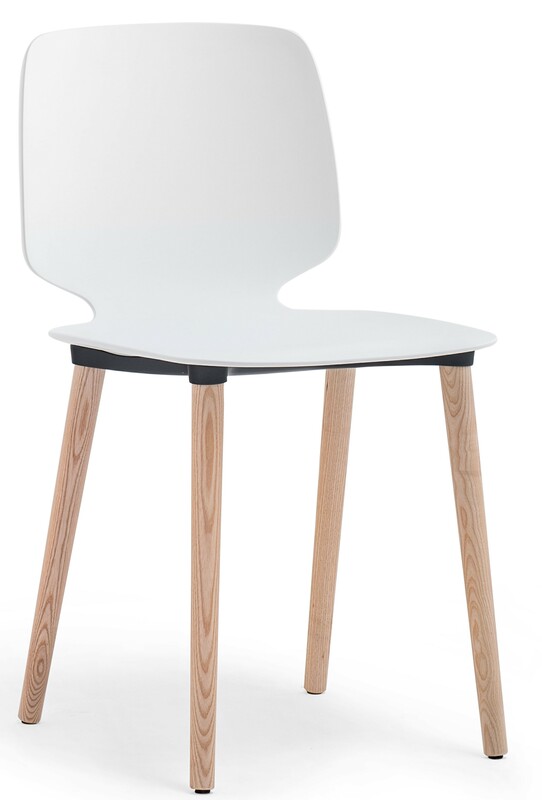 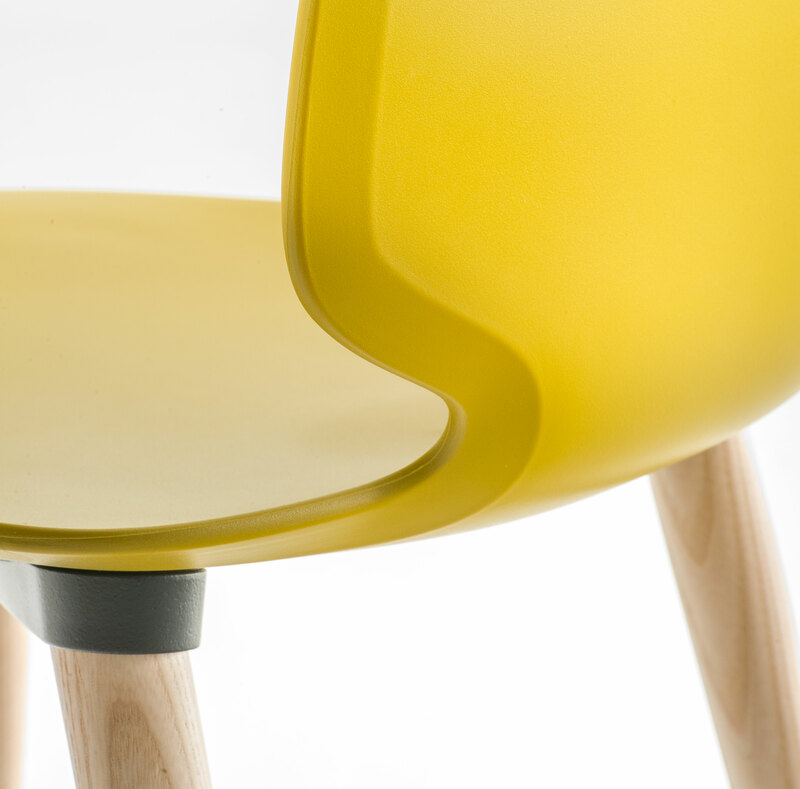 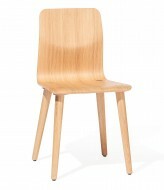 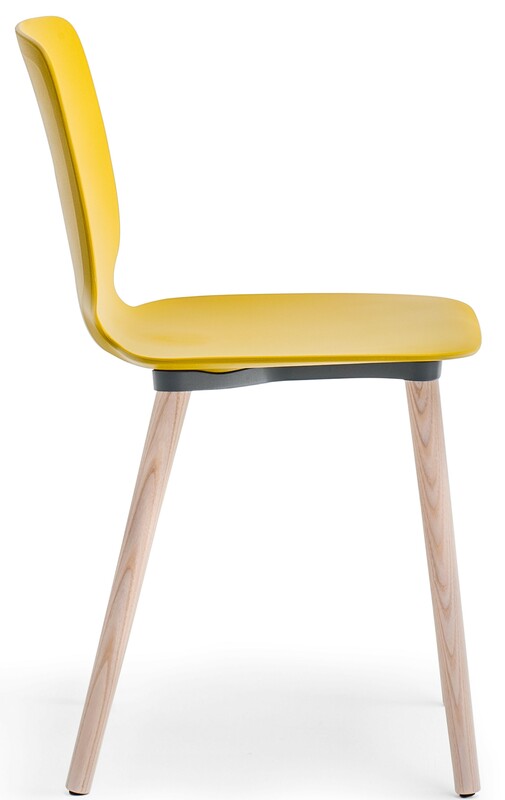 The Babila 2750 Side Chair is available with wooden legs and plastic seat. 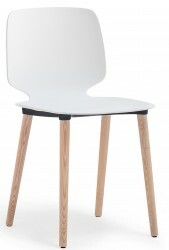 Choice of four different colours, available with ash wood legs. 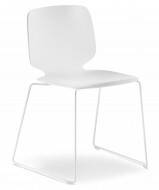 It is very light. 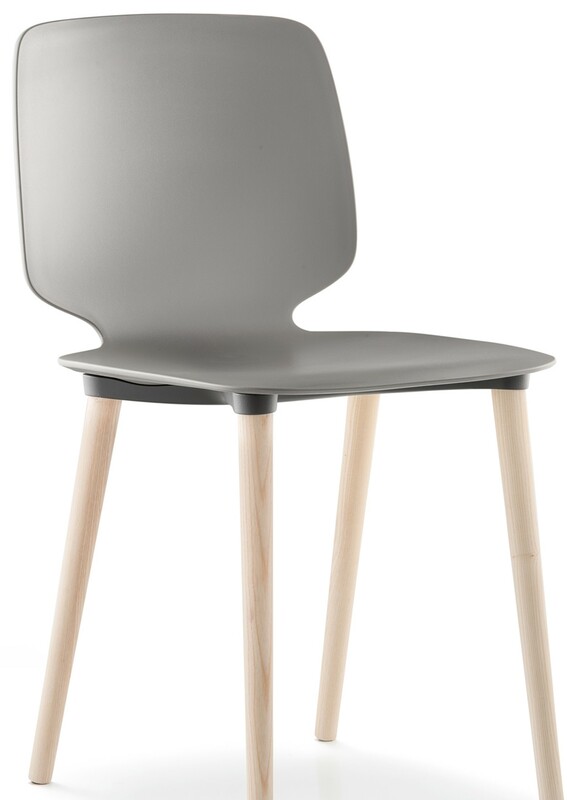 Also available as Side Chair with sled legs, steel legs and as a High Stool.